Pleasant View Schoolhouse: Slippers. I Made Them. Somehow I'm fascinated with vintage patterns for slippers--they are often included in bedjacket patterns. I tried these out this week. They are completely hand-stitched because I couldn't get them under the machine. For materials, I cut the sole out of some kind of fake suede/shearling I had a hand-me-down scrap of, and the cream color is wool felt. 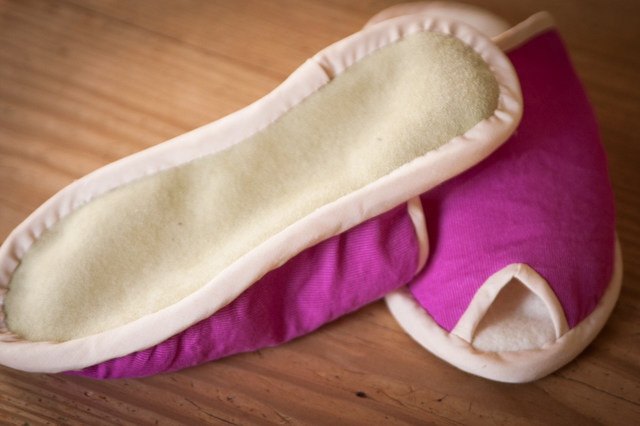 The outer layer is pink corduroy, and they are bound with commercial quilt binding. They were fun and easy--but I don't think they'll stay on without a strip of elastic sewn in place to be a heel strap, as suggested by yet another vintage slippers pattern. How pretty slippers. They look so cozy! Anna, I admire you can do anything so easily! 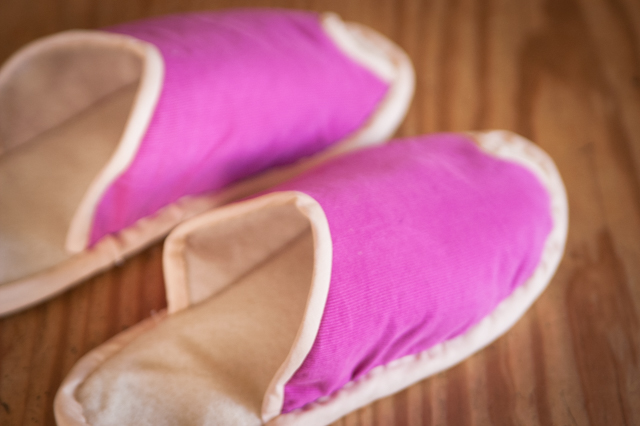 I have a whole Pinterest board about making/sewing shoes and slippers. I'm very intrigued, but the two times I attempted it were disasters. Yours look pretty, but I'd definitely want the elastic!